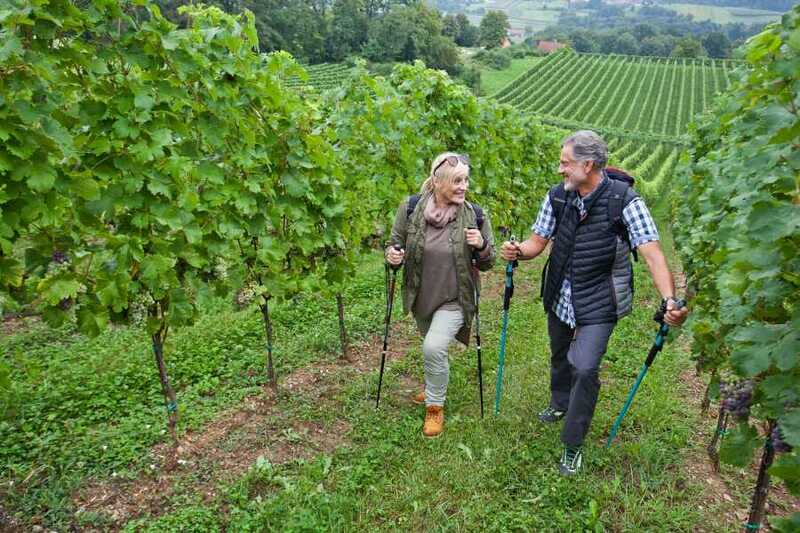 Explore the heart of Julian Alps on 8-day guided hiking adventure, feel the nature and taste traditional Slovenian food & wine in different regions. Enjoy the world-famous picturesque Lake Bled and amazing glacial Lake Bohinj. Experience breathtaking scenery of high mountain lakes and rugged limestone peaks on a 3-day hut-to-hut hike and discover the traditional ways of the shepherds. 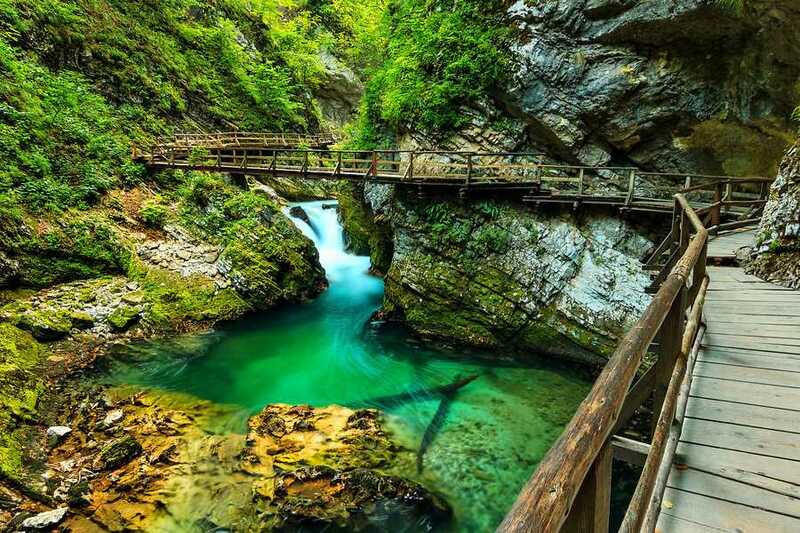 Enjoy the stunning Soča River Valley, one of the most beautiful river valleys in the world and visit the historic town of Kobarid - blend of nature, history and delicious food. 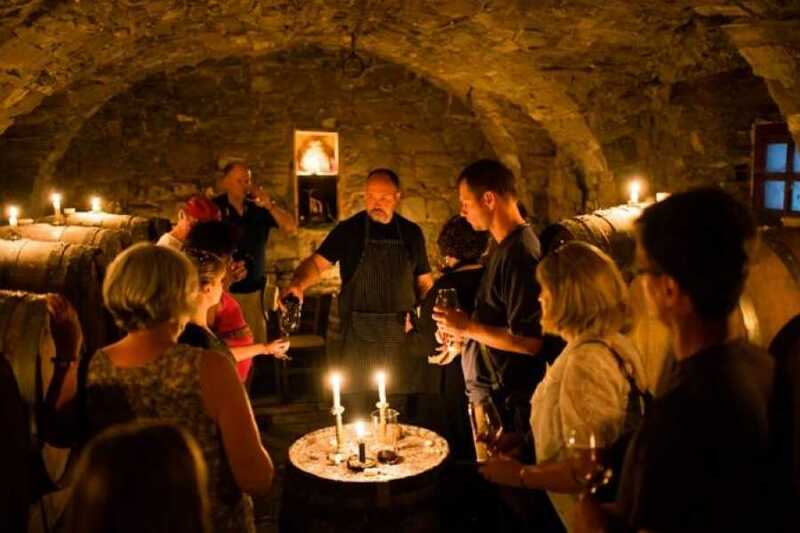 Leave the mountain trails of Triglav National Park and walk into the vineyards of Goriška Brda, taste some traditional local food and world-class wine. After delicious culinary delights on the countryside, end the trip in the vibrant capital city of Ljubljana. 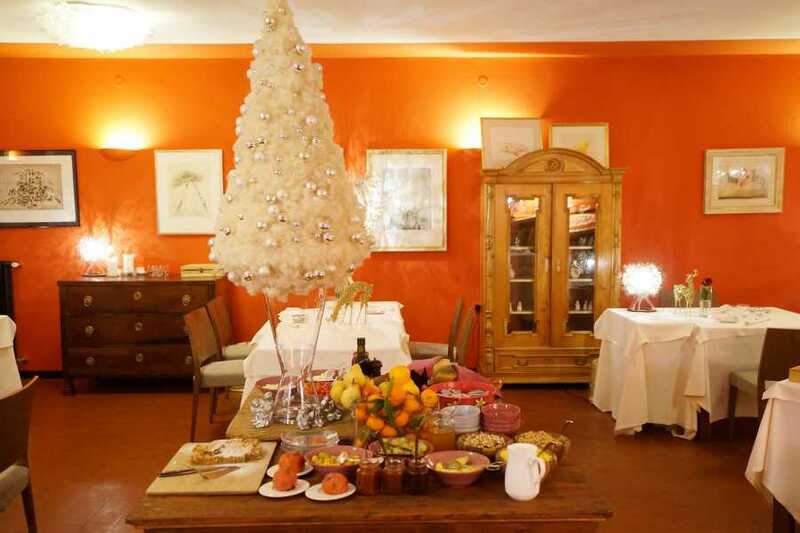 - This is a small-group guided holiday. The group is usually 4 to 16 people, with an average of 12 like-minded clients booking individually, as a couple or as friends together. - Single supplement policy : If you request single accommodations, you will be asked to pay the full single supplement fee. There are a limited number of single rooms available to request. If you wish to share accommodations, we will assign you a roommate if one is available. Please be advised that there are a limited number of single rooms available, and single rooms are not available at the mountain hut. 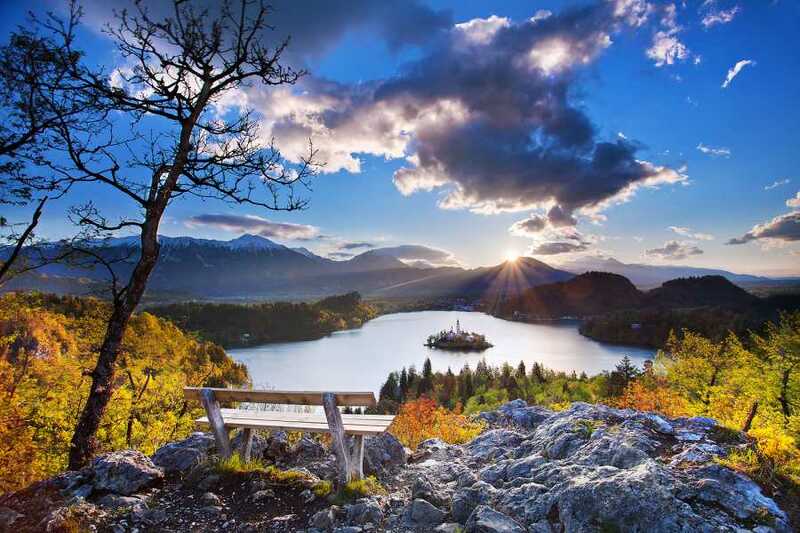 After breakfast a short transfer will take us to the world-famous Lake Bled; a picture postcard lake with island church and a fairy-tale medieval castle built on a precipice overlooking the lake. 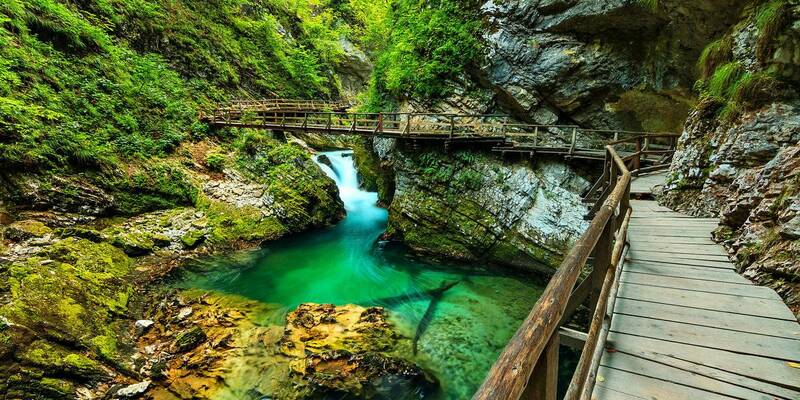 A good start will be a hike through the spectacular Bled Vintgar Gorge - a narrow canyon. After lunch, we will take a short walk on a hill that has the most beautiful view in the world.Be sure to try a local specialty, Bled custard-cream cake. 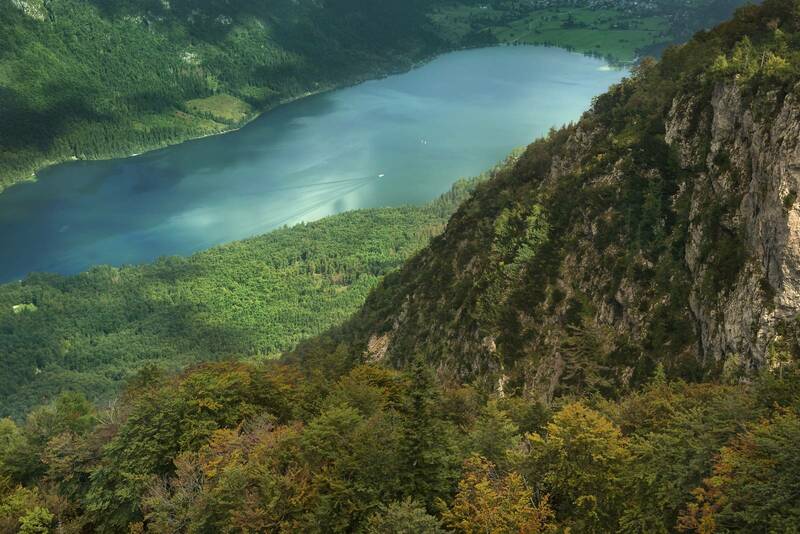 Next, we continue to glacial Lake Bohinj, peaceful alpine valley, located in the heart of the Triglav National Park. Overnight in Bohinj or Pokljuka– family run hotel 4*. After breakfast, we’ll drive you to Pokljuka Plateau where we will start our 3-day HUT to HUT hiking adventure in the heart of Triglav National Park. The first day will be a little easier to warm things up. We will pass shepherds’ cottages and walk through the green meadows of the charming Alpine pastures. 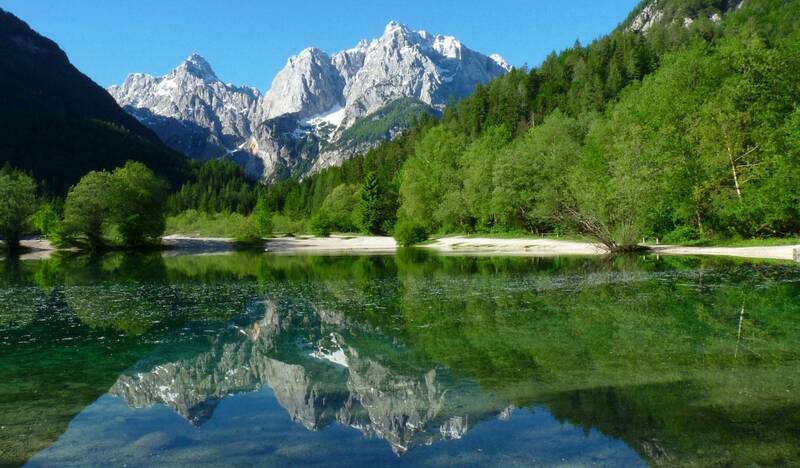 We will continue on mountain ridges that offers one of the most spectacular and breath-taking views in Slovenian Alps. We will spend the night in a picturesque mountain hut with a view on the surrounding peaks and watch the sunset! Overnight at mountain hut. 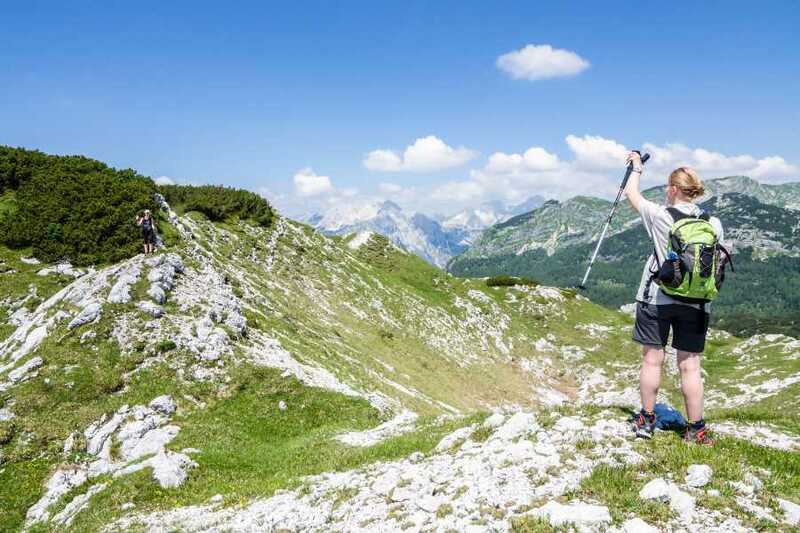 We will begin a truly unique day by descending into the Valley of the Seven Triglav Lakes and enjoying a rising and falling traverse through rocky terrain. The majestic mountain trail will take us through breath-taking scenery of mountain lakes and offers spectacular views. 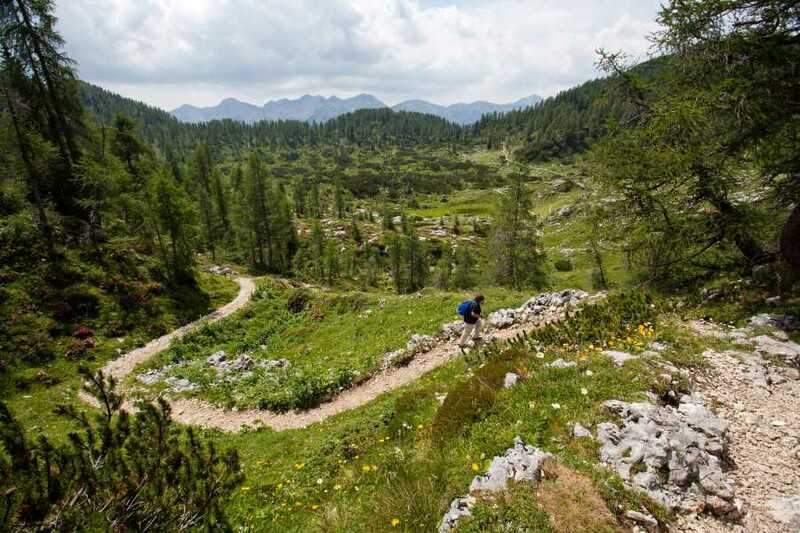 We will follow the scenic trail towards the valley and enter into mountain lovers’ paradise - one of the most beautiful high altitude alpine valleys in Europe. 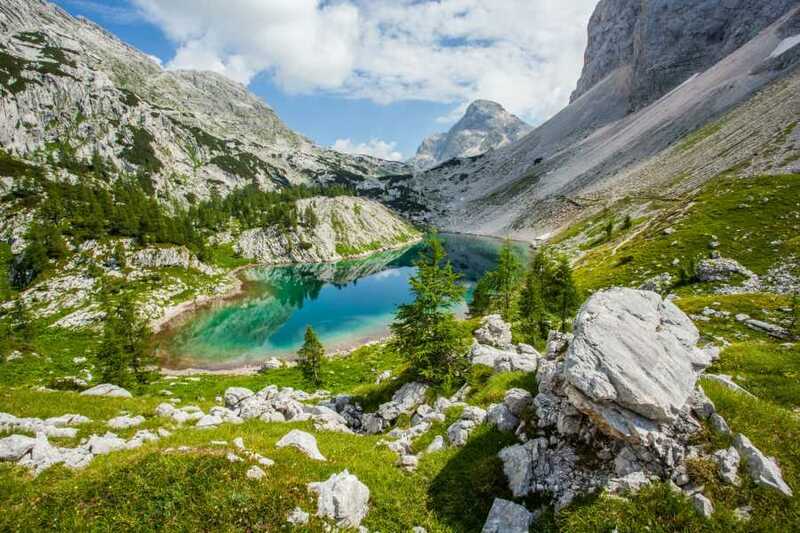 The magnificent vistas and beautiful mountains will help you see why Triglav National Park is also called the Kingdom of the Golden horn and is source of pride to all Slovenians. You will spend the night in comfortable mountain hut, just next to one of the beautiful lakes. We will slowly leave the highest peaks behind and enter the land of the Alpine pastures. On the walk back you will enjoy magnificent views over the Bohinj area. We will pass by some typical shepherd huts where they carry on a traditional way of life and taste traditional home-made Slovenian delights in one of the huts.We will continue on to the stunning Lake Bohinj, where we will take time for a swim in the crystal-clear lake. 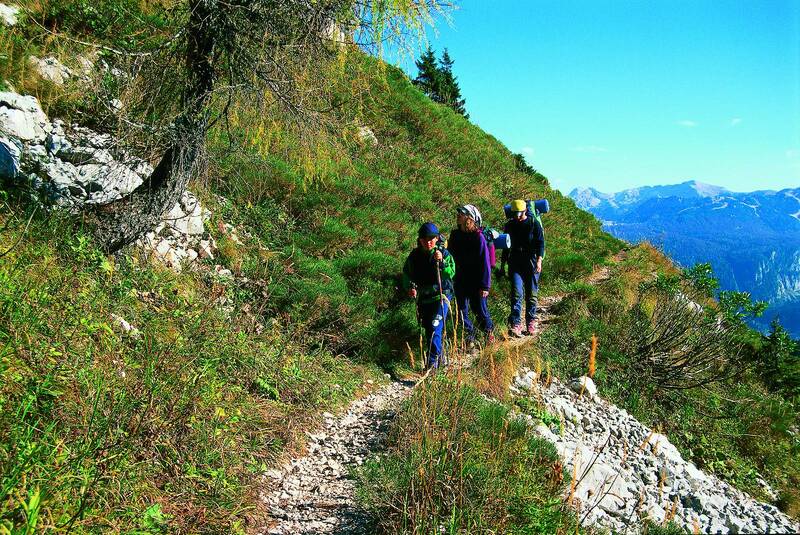 This spectacular hiking experience will end with tasty Slovenian dinner. 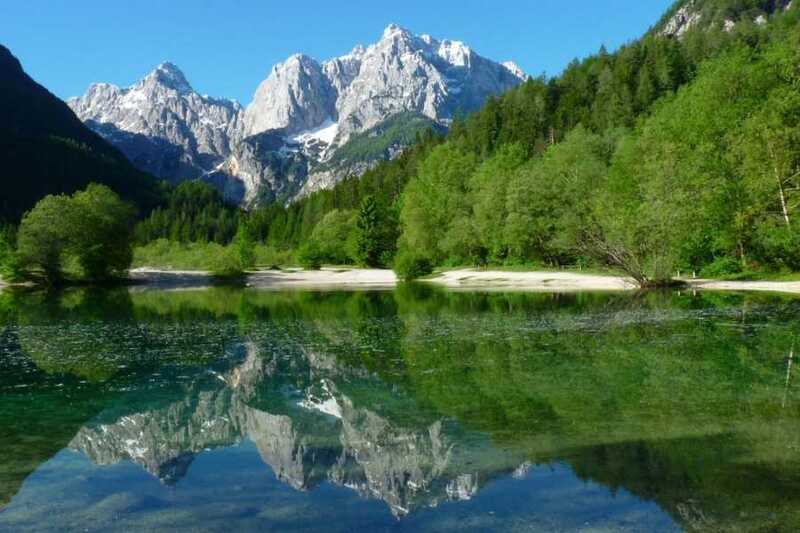 Overnight in Kranjska Gora 4 family run 4* Hotel. After early breakfast we will continue on scenic mountain road to Vrsic pass (1625m). From the plateau on the pass we will hike to Sleme, where you will feel all the beauty and breath taking views of majestic mountains. After lunch we will continue our drive down into one of the most beautiful and one of the few unspoilt river valleys in the world- Soča River Valley. There are several options for this day. You can opt to take it easy and explore the historic town of Kobarid – blend of history, nature and delicious food, visit the World War 1 Museum or make a new adventure with aprox. 3 hours hike and discover the hidden corners of the Soča Valley. If you would like an adrenaline surge, you can go white water rafting, kayaking or canyoning! After lunch a pleasant stroll near the Soča River will take us to the lovely hidden Kozjak waterfalls with its beautiful pool. We will continue along a picturesque route to the Slovenia's winegrowing region of Goriška Brda to enjoy Mediterranean landscape and magnificent views. 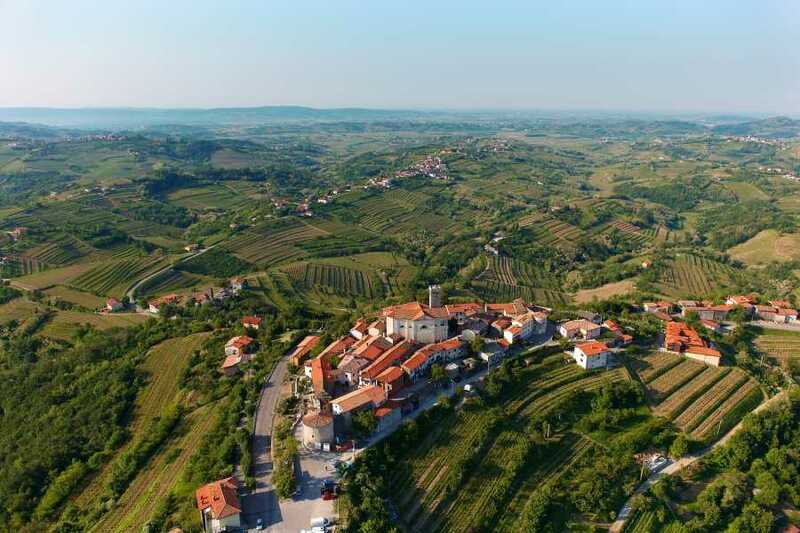 It is a land of gently rolling hills, covered with orchards and vineyards and dotted with small villages. 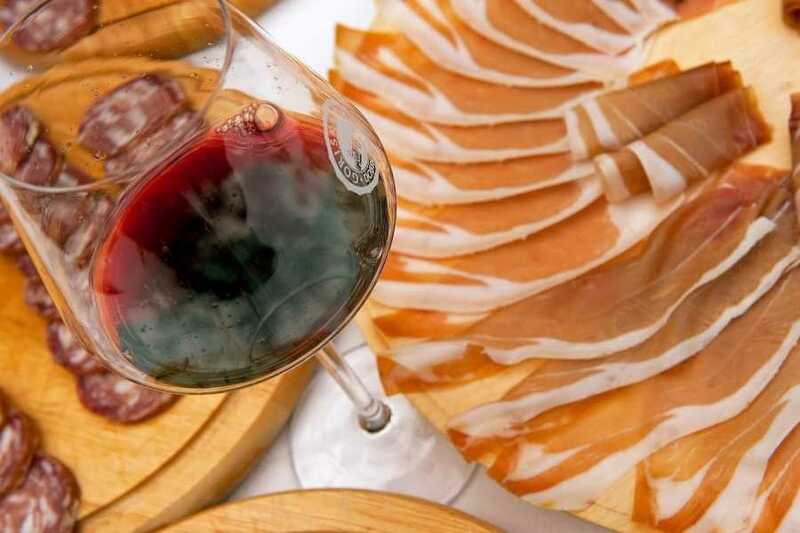 Farewell dinner will be served in the family run tourist farm with breathtaking views of the rolling hills of the Goriška Brda region. After dinner, we will tour the family's wine cellar where you will learn about organic wine making methods and taste wine. After breakfast we will transfer to the capital town of Ljubljana in time for your scheduled departure airport in time to catch your flight or train departures. You are always welcome to extend your stay to explore the old part of the city and marketplace.